Baby Woodrose is back again! This is a short LP of 10 cover songs by mostly obscure but also more well known artists. There is a great description of all the songs and how they came about to cover these ones. It opens with an Arthur Lee and Love song, I can’t explain (the first single from the LP). This is true pop from the 60’s. The only songs people are likely to have ever heard are the LOVE, Stooges and Captain Beefheart songs. My favorites were the cover of "A Child of a Few Hours is Burning to Death" by the West Coast Pop Art Experimental band, "Who’s it Gonna Be" by the Lollipop Shoppe (Fred Cole of Dead Moon), "I’m Going Home" by the Sonics and "I Lost You in my Mind" by the Painted Faces. 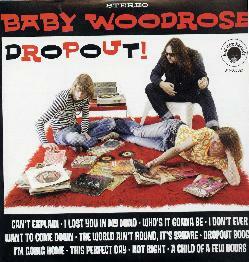 This is a great record and it will take you back in time, Baby Woodrose style! For more information you can visit the Bad Afro Records web site at: http://www.badafro.dk.